At 7ft, 6 in tall, Yao Ming is an intimidating figure, the tallest player in the NBA during his former career with the Houston Rockets. 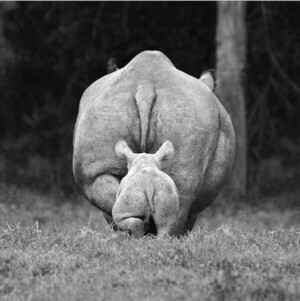 But this gentle giant is spending his time nowadays educating people on the crisis of elephant and rhino poaching. 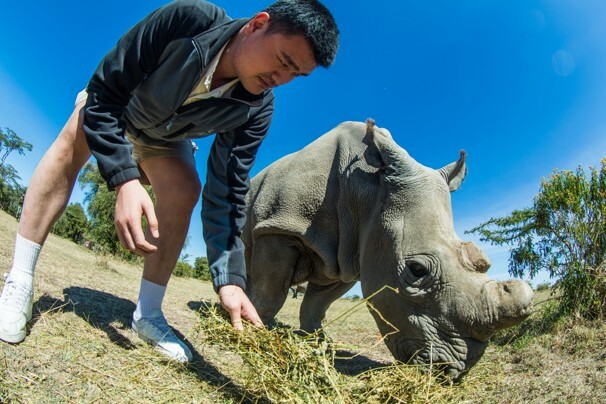 Yao Ming with one of the four remaining Northern White Rhino at Ol Pejeta Conservancy. Being an animal lover and inspired by Jackie Chan, the Chinese basketball sensation has made raising awareness a top priority. 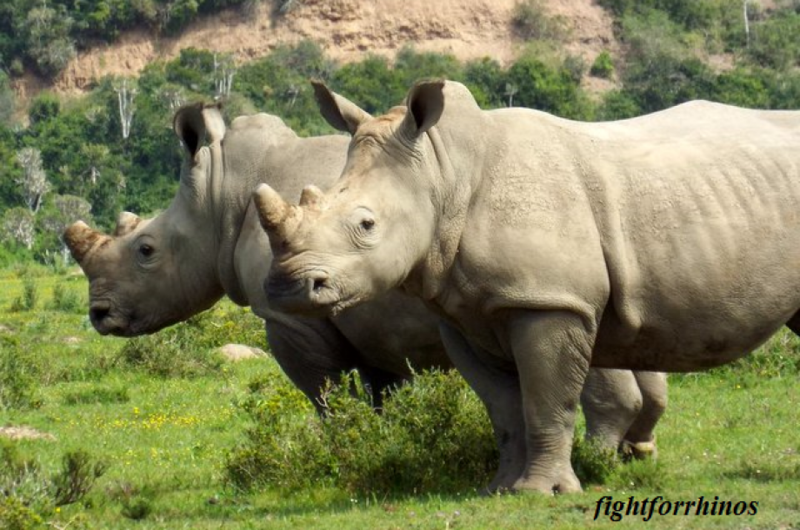 He is a goodwill ambassador and a promising connection between the poaching crisis of Africa and the demand of the Chinese people. 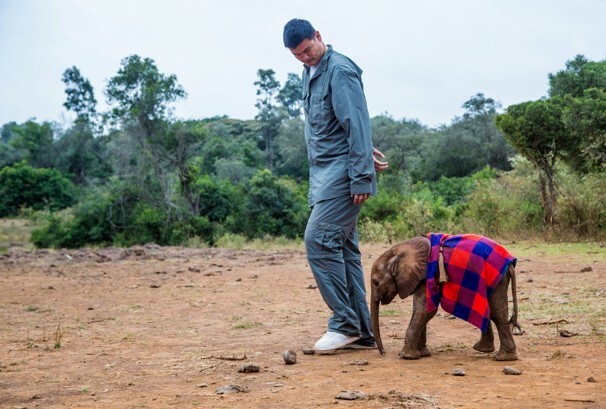 Yao Ming is followed by Kinango, a 2-week-old orphaned elephant whose mother was poached for her ivory, at Daphne Sheldrick’s orphanage. Ming’s previous campaign to educate the Chinese on the demand of shark fins, is credited with a reduction of 50 – 70% in consumption of shark fin in China in 2012. We can only hope his current drive to eliminate the demand for horn and tusk is just as effective.